From the Annals of Sacred Music – In 1900 the Southwest Texas Sacred Harp Singing Convention was organized at McMahan. Sacred harp music is a religious folk music that derives its name from Benjamin Franklin White’s The Sacred Harp (1844). It features a cappella singing of white spirituals written in shaped notes. The sacred harp is the human voice. 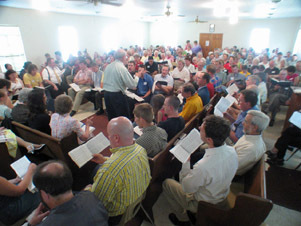 The tradition continues today with the annual Southwest Texas Convention at McMahan, held in the spring, and the East Texas Sacred Harp Singing Convention held in August in Henderson. Other Sacred Heart events are also regularly held around the state. Photo of Southwest Convention from http://www.texasfasola.org/. 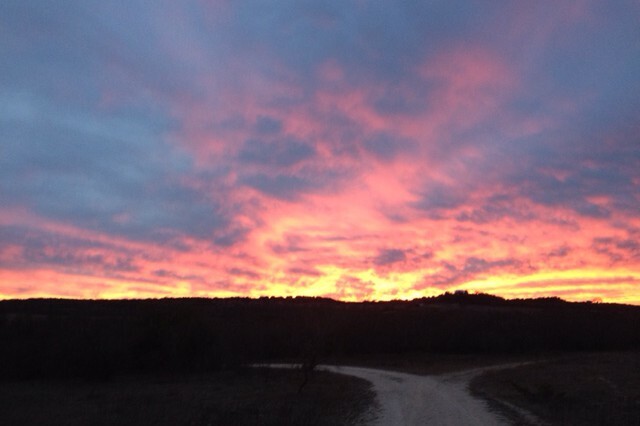 This entry was posted in Today in Texas History and tagged East Texas Sacred Harp Singing Convention, Henderson, McMahan, Sacred Heart Singing, Southwest Texas Sacred Harp Singing Convention, Texas Music on April 28, 2016 by Red from Texas.